Scatter-Blogging and re-shaping... changing this section to describe the things learned while hunting for a... job. Passion products, and things you'd like to see... GO. What must it be like to be a recruiter, and have hired one. a Big ol' Friendly Bear Hug! I am oh too fully aware that the biggest challenges in conducting one of these "post modern" social media job searches is simply getting that message of yours "out of the pile" and into the hands of the person whose opinion of it... matters. I've been on both sides of the pile. More than once (quite a few times more than once actually); I've sat there looking at hundreds of responses to a job I've posted, thinking... impolite words. I have my little tricks; the first being... I embed a simple task into the original post, usually a simple instruction on how I would like to see the responders message formated... I do NOT simply dismiss those who do not follow the instructions, but I DO review this set of responses more briskly. I've hired from the "incorrectly formatted" replies on more than one occasion, usually because that person showed me they had better things to draw my attention to than, following my "rules". I'm usually my own Gatekeeper... unless the person I hire will be reporting to another, in that case, that person keeps that gate (I find this essential to a good hire, many do not, sad). 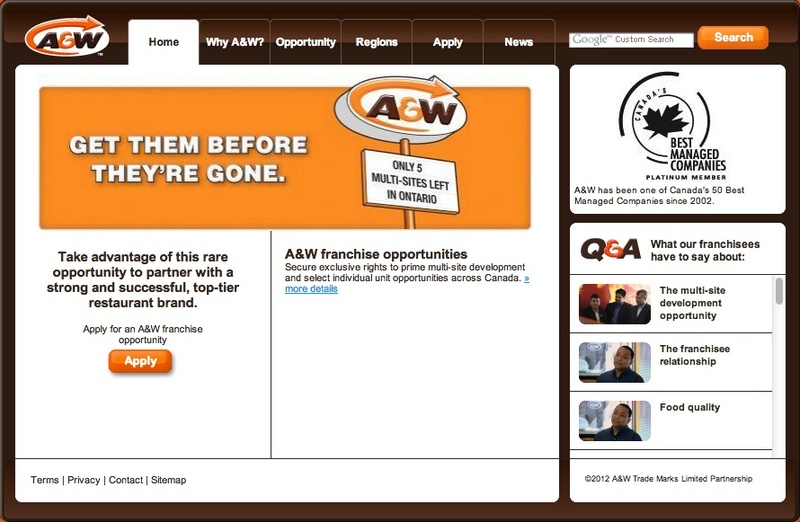 The Manager, Social Media is a newly created role with a mandate to create and implement a social media strategy that meaningfully engages A&W customers and increases brand loyalty. Based in the corporate head office in North Vancouver, the position reports to the Senior Director of Marketing, Brand Communications and works closely with A&W's Marketing, Information Services, and Operations teams, creative agency and franchisees. The Manager, Social Media will work with the Senior Director of Marketing, Brand Communications to develop an effective social media strategy. The Manager, Social Media is responsible for designing, executing, evaluating, and modifying social media programs that achieve measureable business results against A&W's strategic objectives. "...programs that achieve measurable business results against A&W's strategic objectives"
to meet these objectives, I simply propose un-easy ideas; but first... before I can have a chat and explore the key ideas, who owns the relations, what triggers the transaction, I must not only formulate an oh so complicated strategic approach, I must... get past... the Gatekeeper.